What are you most looking forward to in Patch 5 Tobruk? Thread: What are you most looking forward to in Patch 5 Tobruk? Re: What are you most looking forward to in Patch 5 Tobruk? Well, I'm really looking for it to come out if it ever does, no mention of when, but by the looks of the updates another year or so. What, you can't wait 2 weeks? ...To not dogfighting against flying RAF space shuttles! 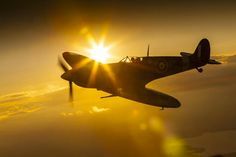 please, please for once try to fly a Hurricane or Spitfire and experience the utter frustration of fighting against ac that dives faster, climbs faster, rolls faster, is faster in horizontal flight and has way better armament with way more ammunition. Flying red the only thing you can hope for is that your opponent makes a stupid mistake (and there are very few unexperienced pilots around), just to find that your 303 peashooters don't cause any real damage and run out of ammo within 14 seconds. I don't think that such more or less hidden accusations of biased flight models are appropriate and much less justified. And why should TFS be biased? I know there is a considerable number of Germans/Austrians in the team and, like all the others, they just try their best to get the FM as correct as possible. Sitting here thinking about the Martlet....Sitting on the Sandy runway..inline waiting to take off..with the sounds of engines surrounding me.. dust stiring up..the Sun beating down relentlessly. It's going to be great! Last edited by Mysticpuma; Dec-22-2018 at 15:42. Mysticpuma, damneeeed, that's some extreme example, looks more like a beach than an airstrip. How anyone can fly Blitz and experience anything different than this description totally confuses me. And yet this is not the only time I've seen complaints of RAF aircraft having apparent 'superior' abilities. Sorry, I just don't see it. For 5 I'm looking forward to new aircraft, new scenery and hope for a refreshed global interest. Location of that very dust image is Gambut. RAF Gambut (or RAF Kambut) is a complex of six abandoned military airfields in Libya, located about 5 kilometres (3 mi) north-northeast of the village of Kambut, and 50 kilometres (31 mi) east-south-east of Tobruk. During World War II, the complex was an important facility, used by the Royal Air Force and a large number of RAF squadrons were based there for a time. Last edited by Mysticpuma; Dec-23-2018 at 15:42. Last edited by IIJG27Rich; Jan-02-2019 at 04:28.
make a video on a P-40 flying over the dunes with Arabic music in the background ...! I prefer the early war aircraft (and the early war scenario), so I'm very excited at getting a flyable Welly (where else can you get to sim-fly one of those?) and the thought of more Spitfire marques makes me go all gooey. Strapping on a Friedrich will be great too. I'd really like it if they'd improve the AI radio comms and make some kind of user's guide to the FMB (that still totally stumps me - I can't even make a section of a/c take off and fly around ) but I can understand why those might be technically unfeasible or else get a low priority. I also prefer the early war stuff as that has rarely been touched upon by any kind of serious simulation. Would love to see some more French aircraft to flesh out the BoF theatre but I guess the logical way is forward (1941, 1942, ...) and not backward. Having said that I look forward to CloD progressing into mid-war and maybe the arrival of a flyable heavy bomber at some point and some more exotic aircraft like Allison engined Mustangs (A-36?) & P-38s to go with the obvious Spits, 109s and 190s. ATAG_Flare.....Bug fixes, AI improvements, effects updates, FM updates, graphical improvements, the lot. In my opinion, any game should strive to produce quality of existing content rather than new content. Of course new content is awesome too (and it sells, that's why people are still interested) but the real meat of the update in my opinion will be the technical improvements to the sim, not the new planes. I have zero interest in loads of sand, give me England any day, its why I bought this sim. BoB is big interest here in UK. We can relate to where things happened, go and visit crash sites etc, we back then fought to keep this green and pleasant land free of those who would despoil it and us. desperate for RAF and Luft groundcrew as oh dear what were IL2 team thinking of ? correct looking flying gear, no more peaked caps in cockpits and headsets, again, IL2 ??? what the F&^%. 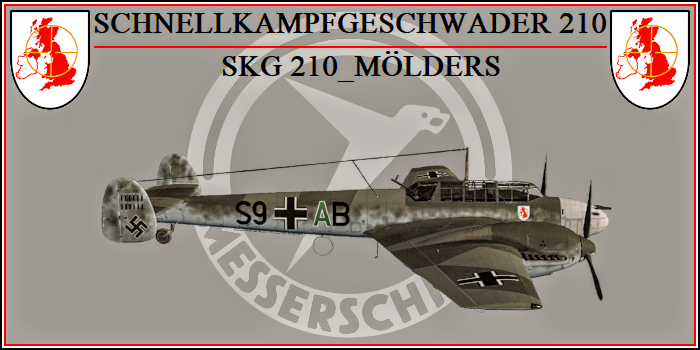 Aircraft looking correct and complete, without blank tails, coded to allow accurate tail markings for third party coders to create, let users in countries where historical accurate markings are allowed, to decide if they want to be having them, IL2 allowed such to be possible, we have loads of books with them in, in side view profiles, which get sold worldwide, thats artwork just as this is, as is ability to put decals onto model aircraft, users choice. We won the BoB and with all the sacrifice we are free to choose. Accurate awesome sound which will at long last really make this REAL !!! No lawnmowers and duff gun sounds. no more frost for reflections. Correct buildings , Belfast Truss hangers the iconic BoB hanger, we cant have a correct looking airfield yet, not the thing IL2 made. never understood the desire to focus on tanks and such and not get the basics right. Would love a Hampden to fly, and a Wimpy. Thats what we need, not sand. Ability to have AI fly low on Epr210 low level raids etc, also Do17 on Kenley, all basic BoB stuff ! Fix the Spit cockpit a bit more, alter 37 to 48 gal gauge. get the default colours right for 70 71 65. Remove the golf ball sized dimples for rivets ruining the Do17Z. Correct the Chain Home towers. get the snow to be white not brown. selectable skins for static planes like in 1946. Last edited by BOBC; Jan-06-2019 at 16:39.